Richard Abelardo's eldest son, Sonny, thru an email many months ago, had fond memories of their dad. 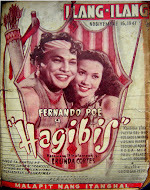 He and her sisters were so delighted that someone took the time to feature their dad's works. 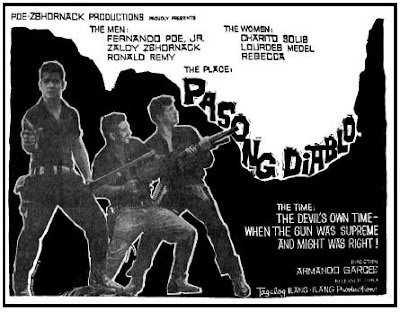 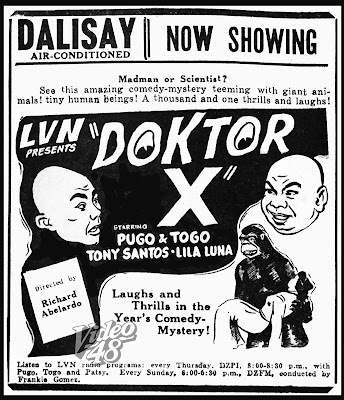 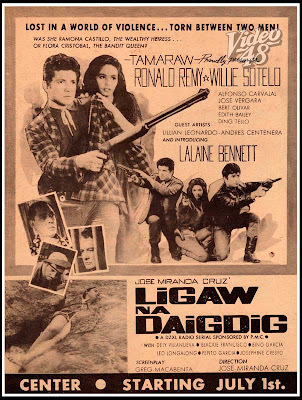 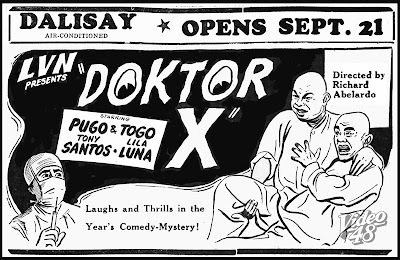 "My sister Bambi mentioned another Richard Abelardo-directed movie entitled "Doctor X" starring Pugo and Togo. 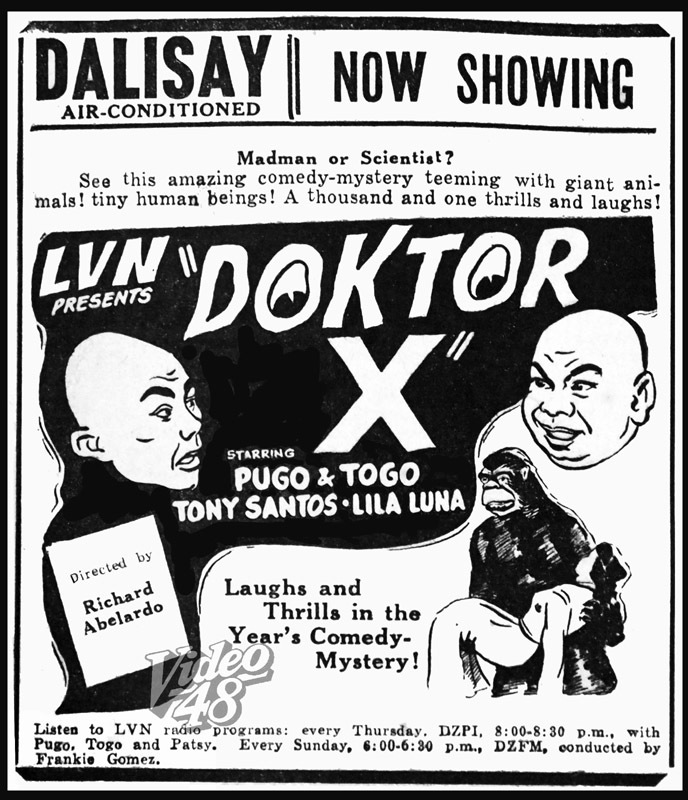 It's a mad scientist flick like Tuko. 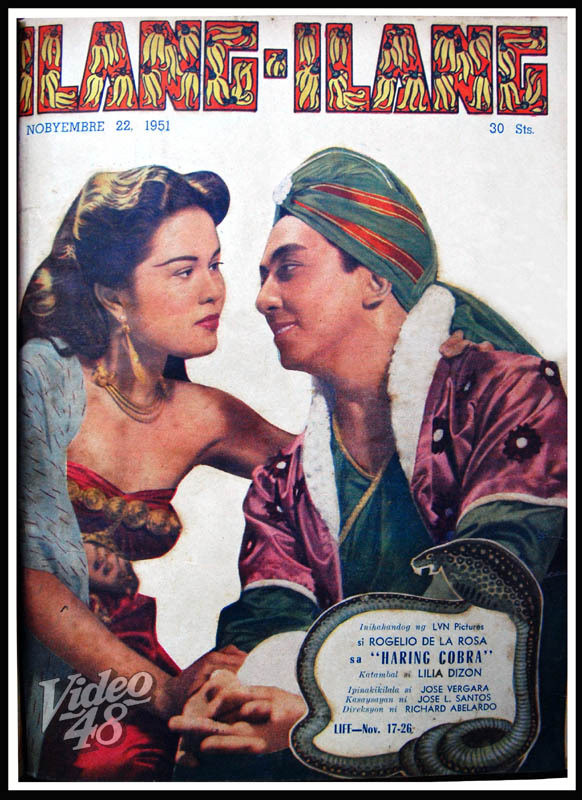 She also remembered "Big Shot" with Nestor de Villa and Nida Blanca. This one showed the two stars dancing from the floor, to the ceiling, and back to the floor again - in one seamless straight shot! 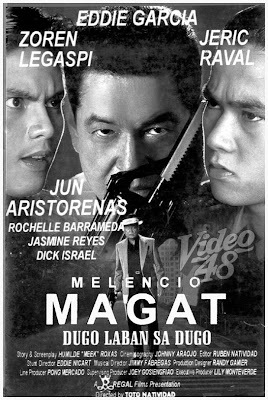 Only from the Master. 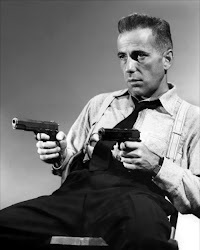 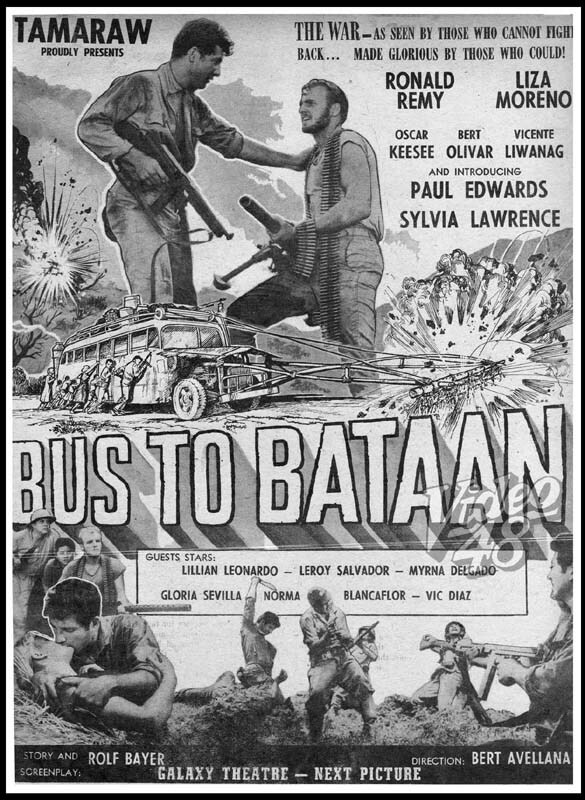 Along those lines, I remembered other movies he directed as well. 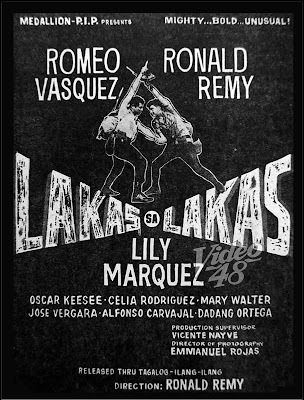 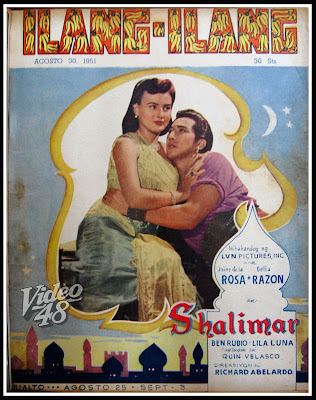 Shalimar - with Jaime de la Rosa and Delia Razon. A lot of matte shots here. 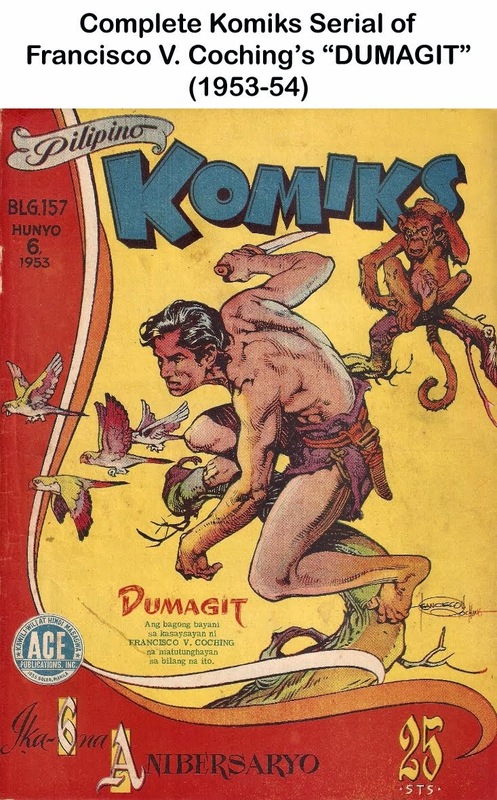 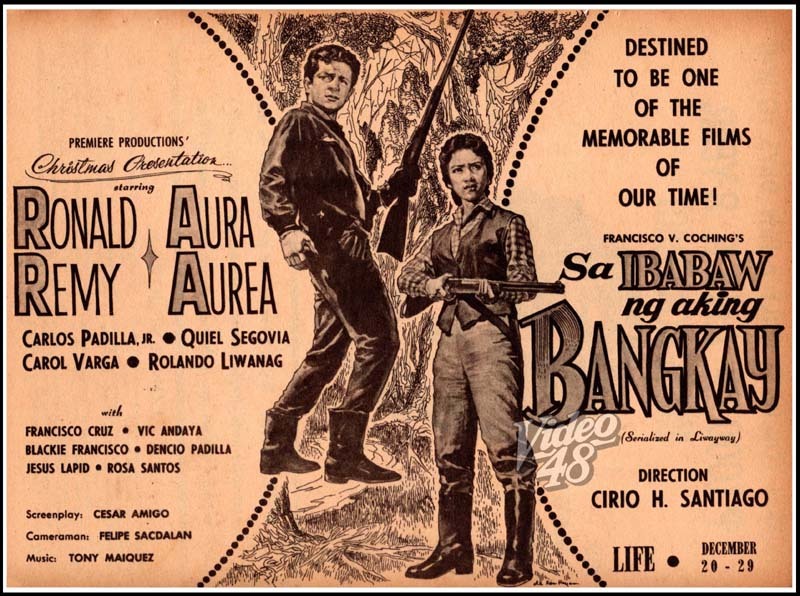 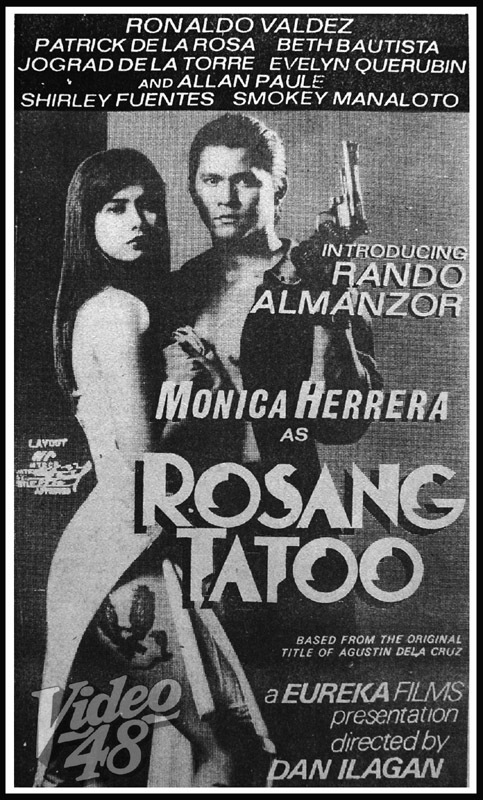 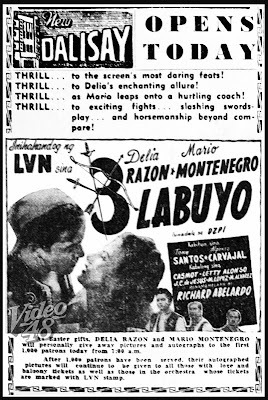 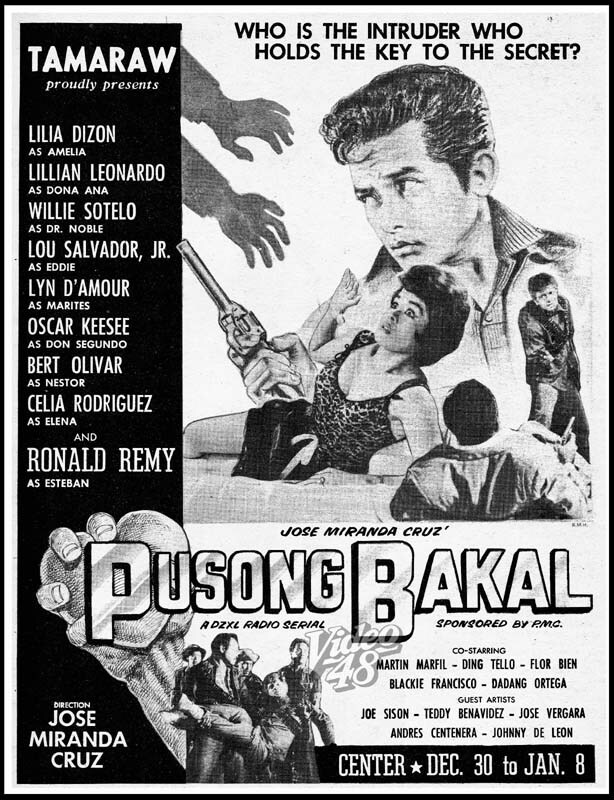 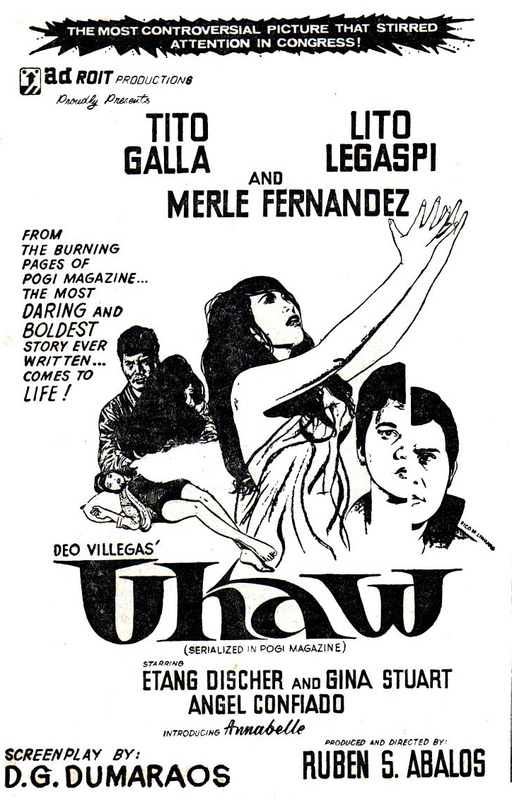 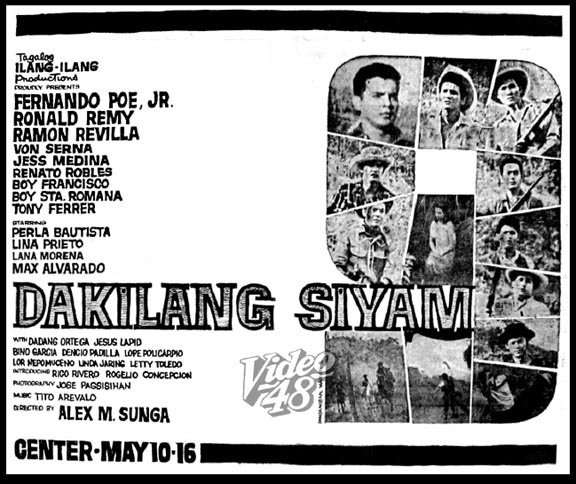 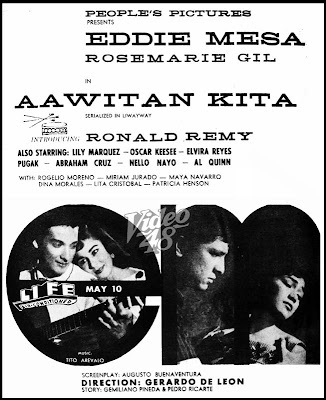 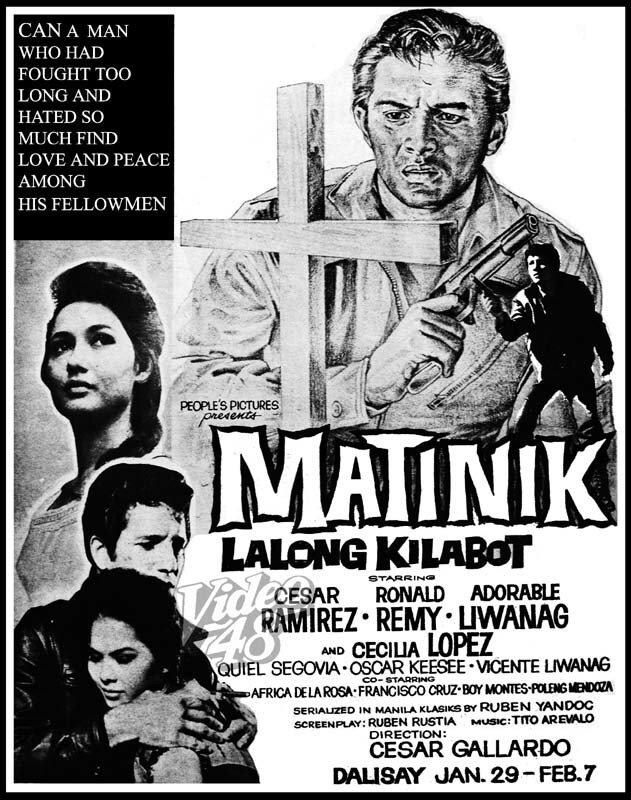 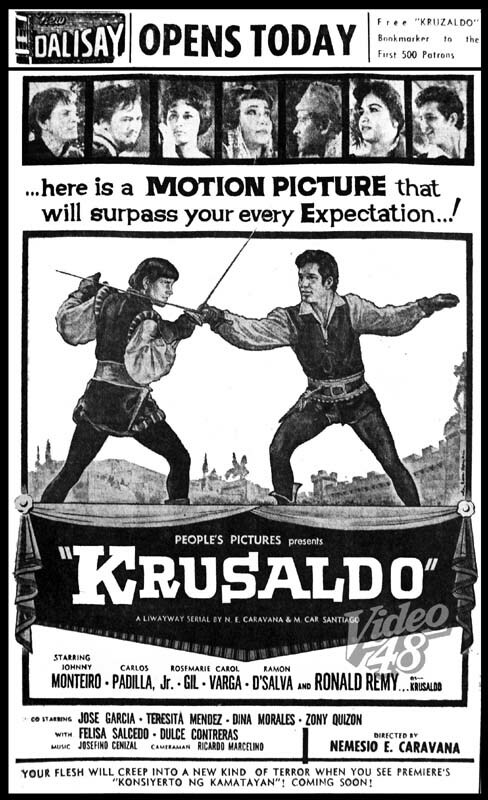 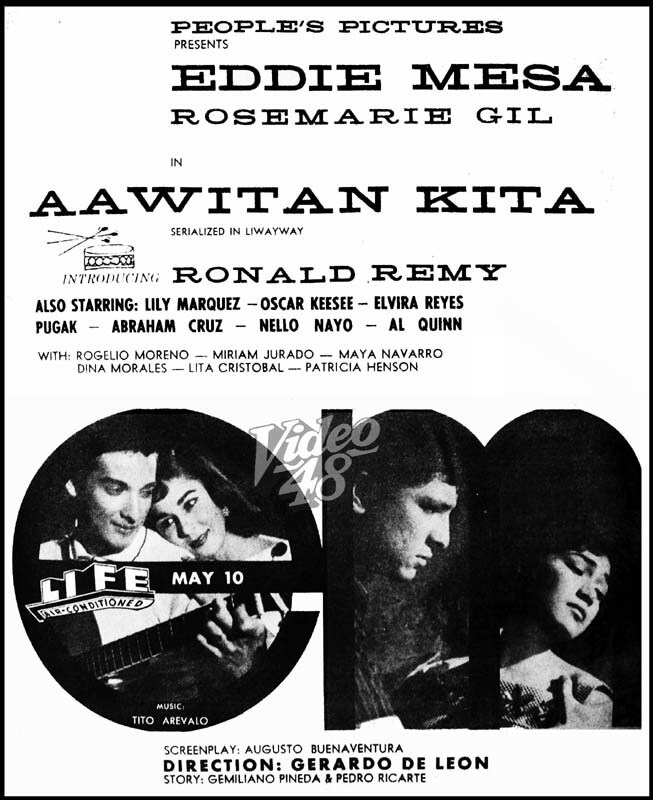 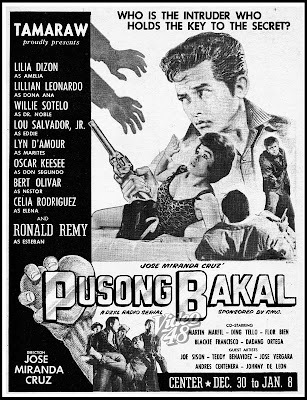 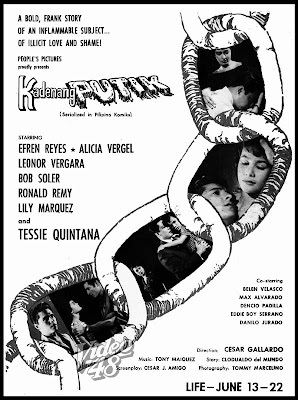 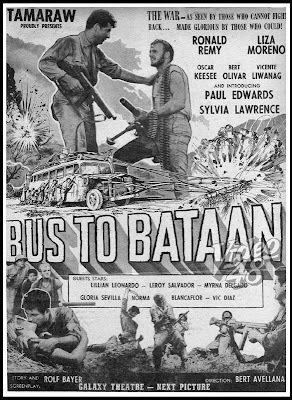 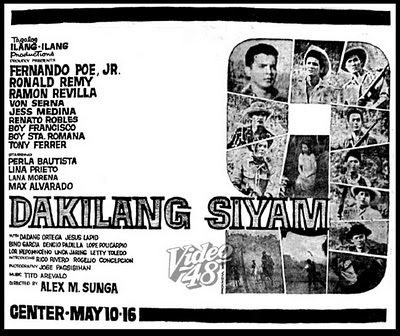 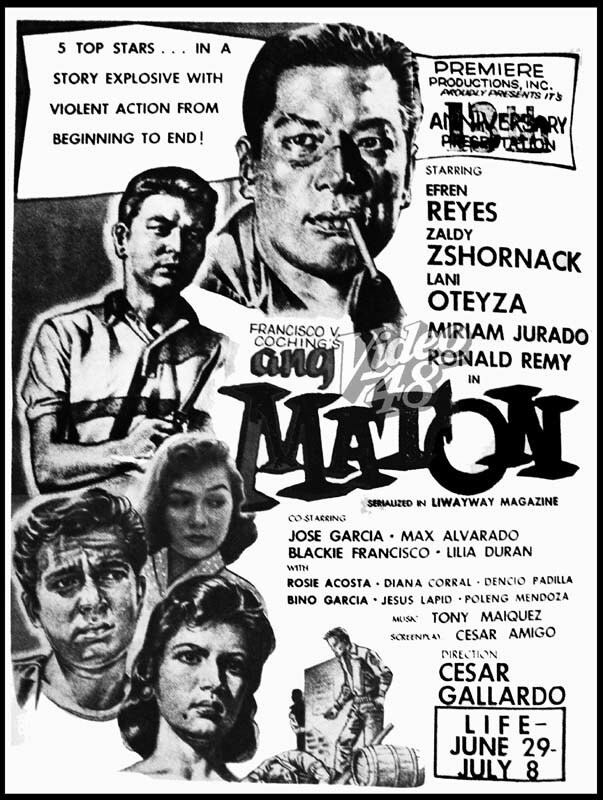 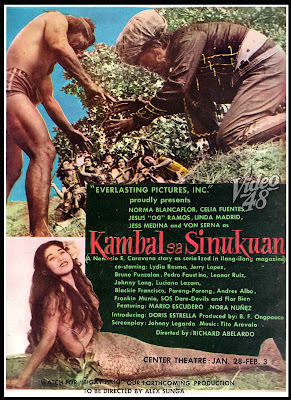 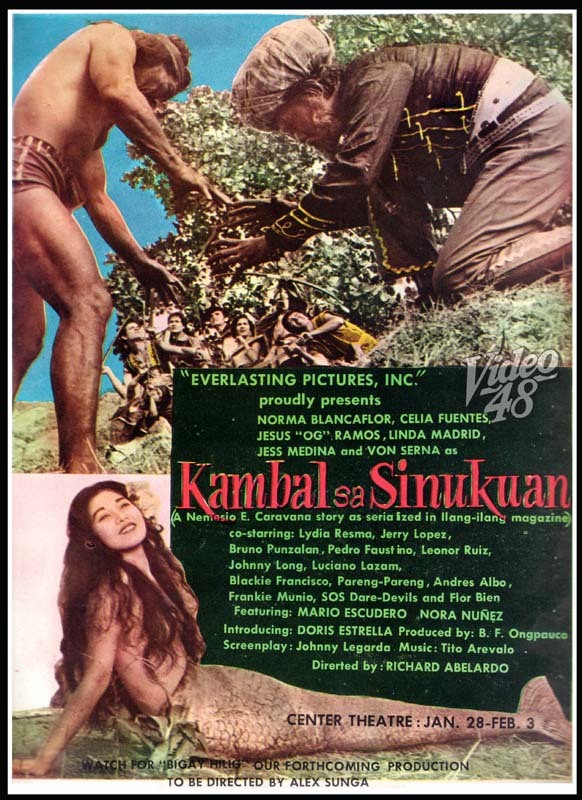 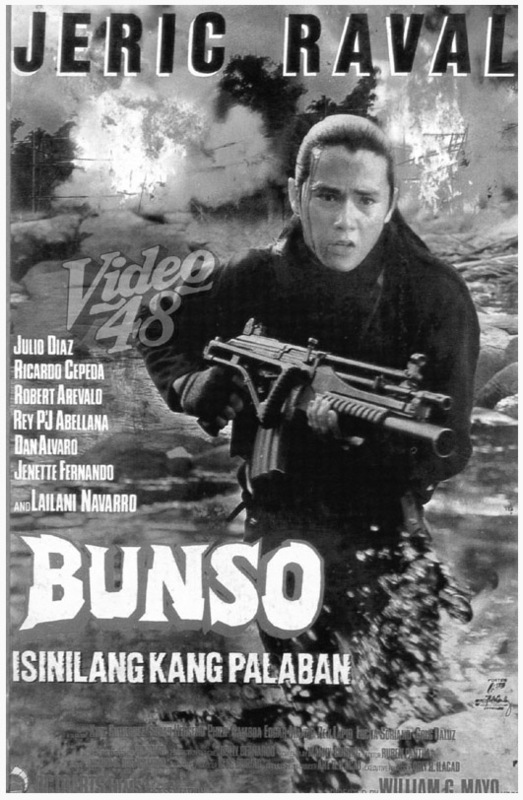 Krus na Bakal - one of his earlier films. 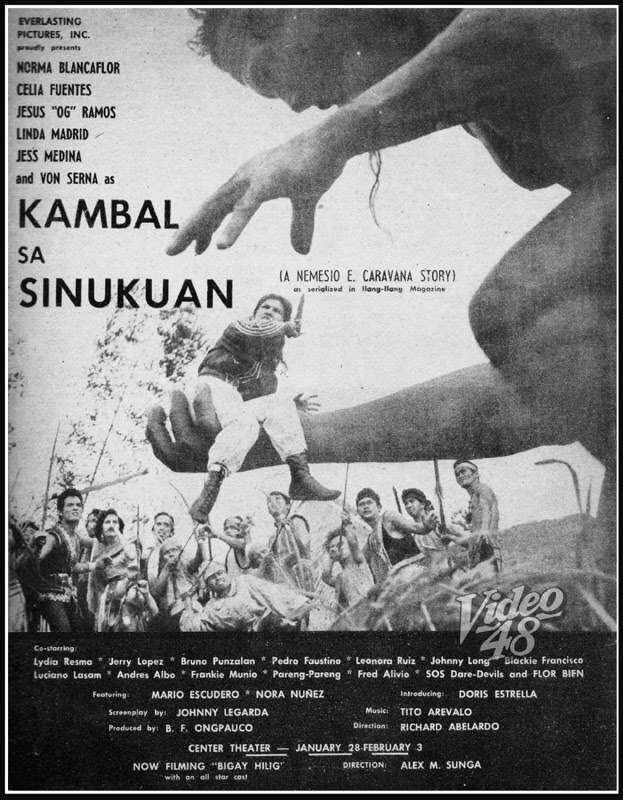 Kambal Sa Sinukuan - with a young Von Serna. 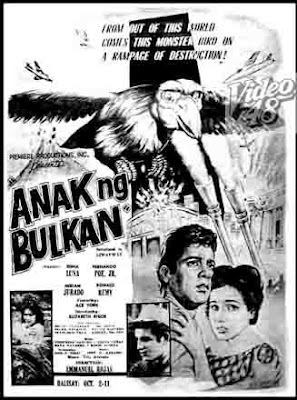 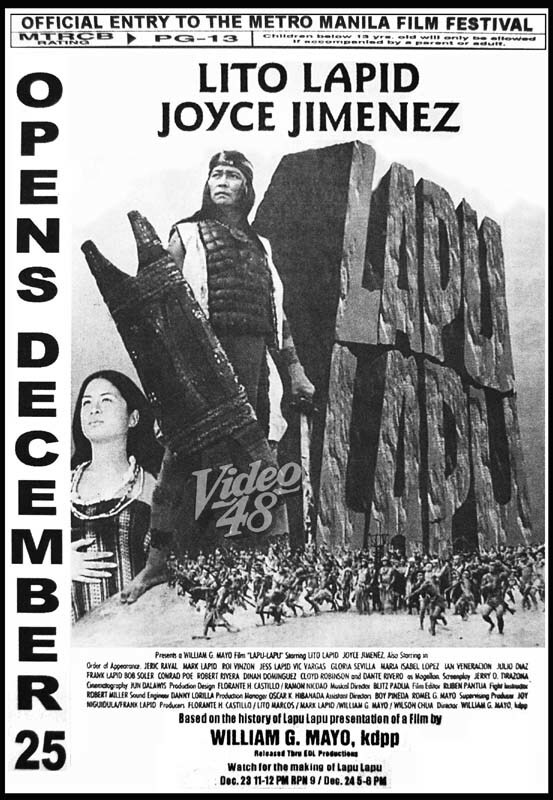 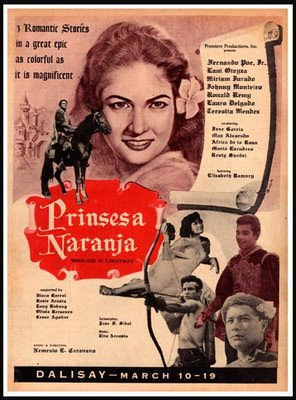 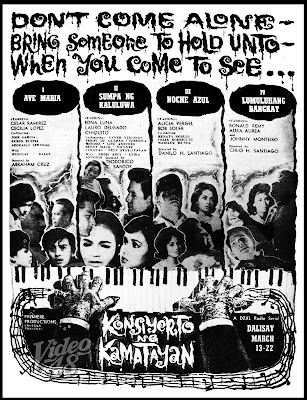 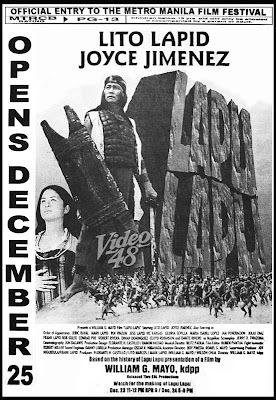 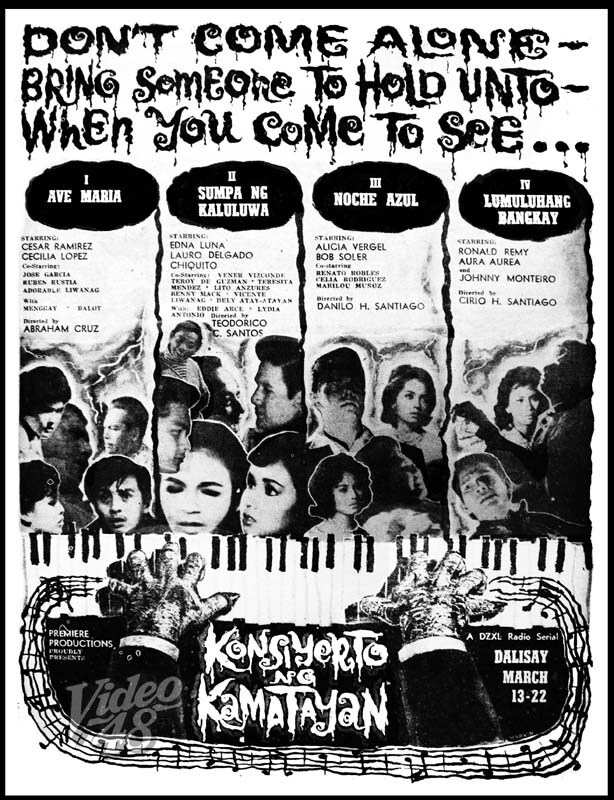 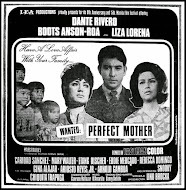 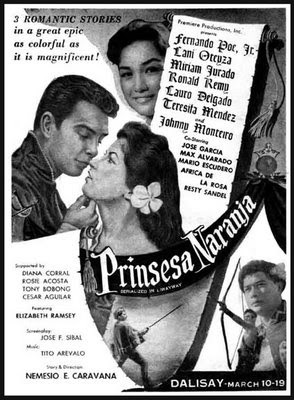 Daddy mentioned to me once that this film included one of the best cinematic visual effect scenes in the Filipino film industry. 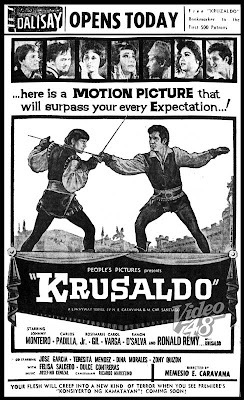 I've seen the movie a long time ago and I think it still remains unsurpassed to this day, banning CGI effects. 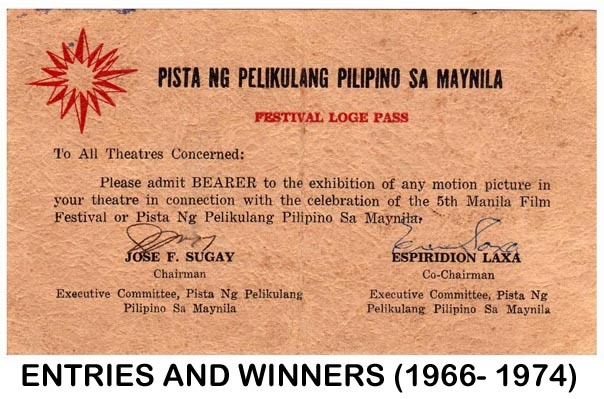 I believe that copies of these films are very rare, if not lost, and we will truly appreciate it if you can do some more postings on these. Perhaps some clips, if at all possible. 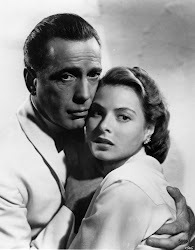 I am bookmarking your blog for it truly floats my boat. 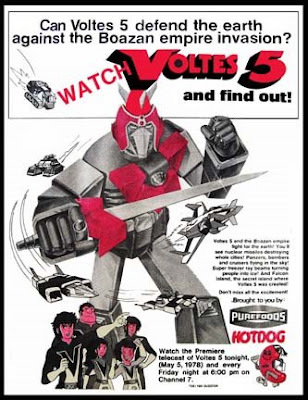 Lots of awesome info here. 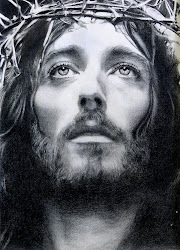 Thanks for your great post." 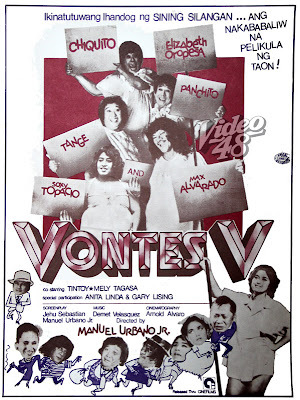 "Vontes V" (1979)- Stars Chiquito, Elizabeth Oropesa, Panchito, Tange, Soxy Topacio and Max Alvarado/ with Tintoy, Mely Tagasa, Anita Linda & Gary Lising/ Manuel Urbano, Jr.
Voltes 5, the popular Japanese animated cartoon series, made its first TV appearance and premiere telecast on May 5, 1978 over Channel 7. 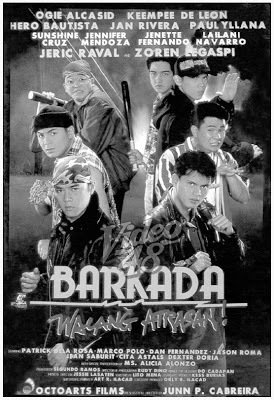 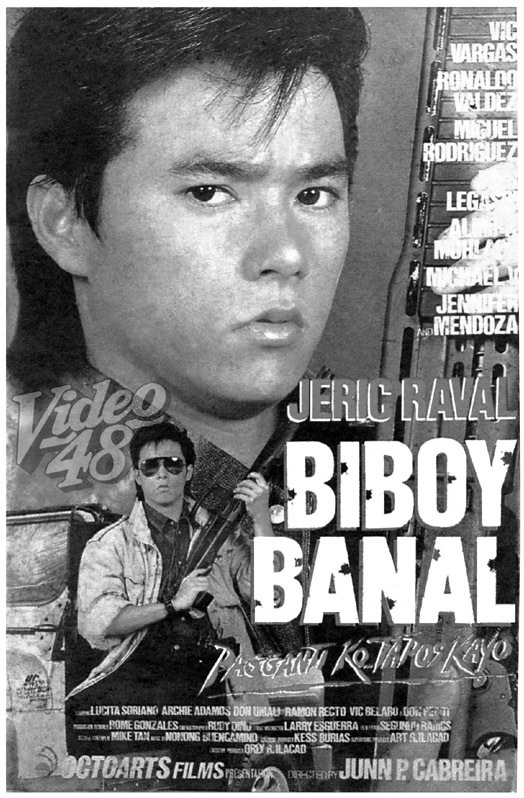 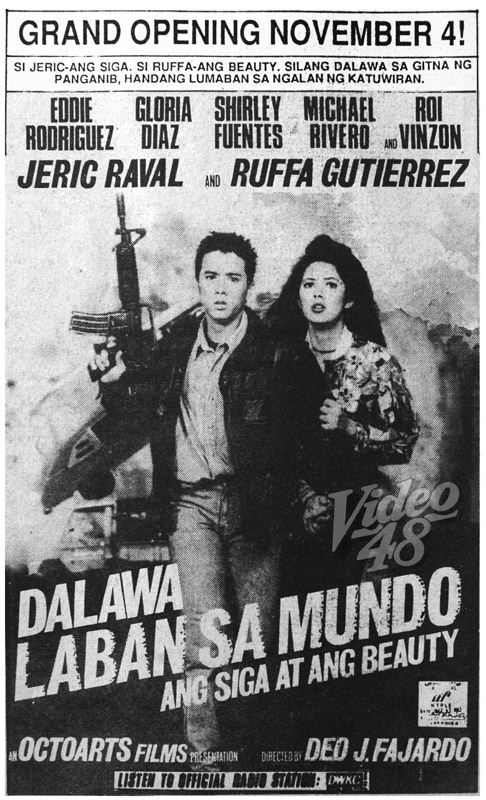 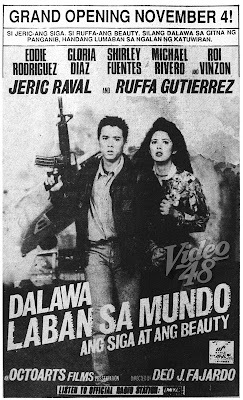 Do you still remember Jeric Raval, a popular young action star of the 90s? 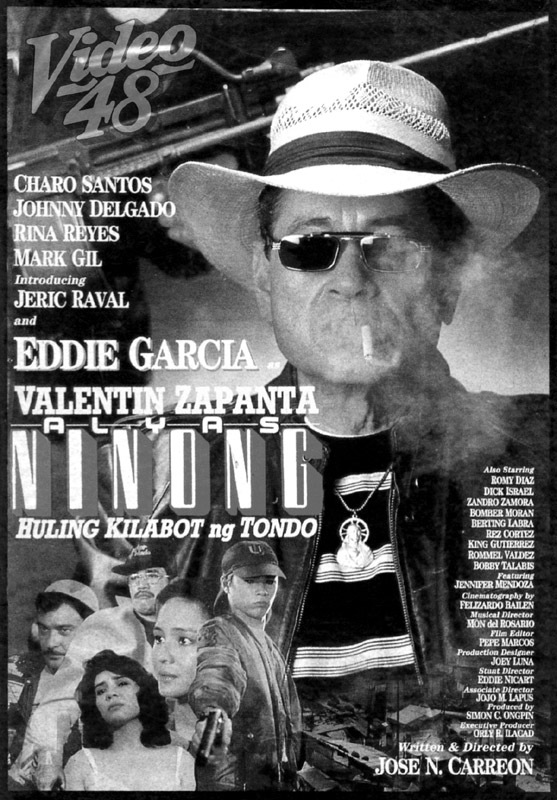 Known for his leather jackets and pants, he was introduced in 1992 via “Valentin Zapanta Alias Ninong” starring Eddie Garcia. 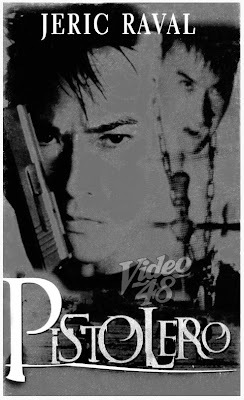 He gradually made a name for himself, his career peaking in the mid 90s. 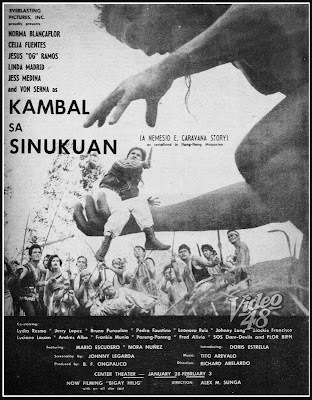 Though under the shadow of such action superstars that time--- Rudy Fernandez, Ramon ‘Bong Revilla, Jr. and Robin Padilla--- he proved to his fans that he can also deliver. Jeric was forced into a temporary retirement sometime in the late 90s after a misunderstanding with OctoArts that led to a court case. 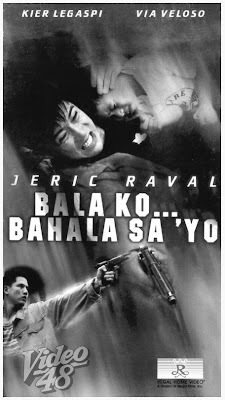 For two years, Jeric could not make a movie because of a TRO (Temporary Restraining Order) from the court. Lifted in 1999, he made a comeback but his career was never been the same again. 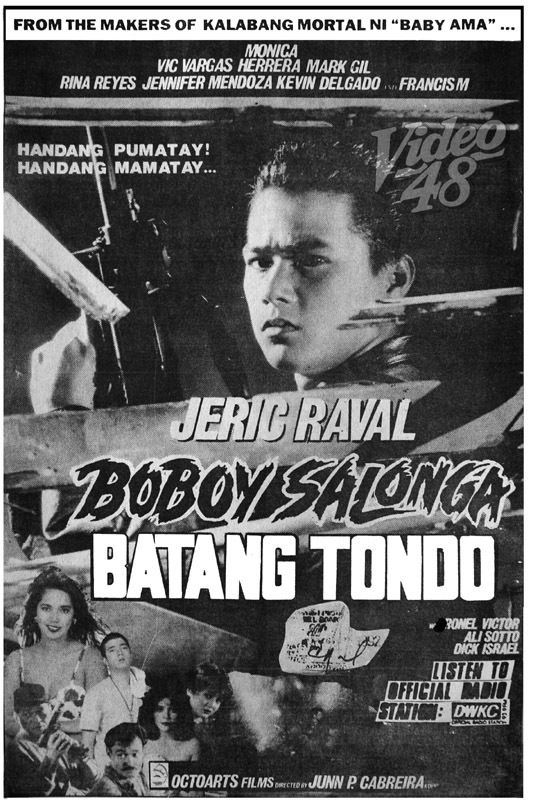 Jeric, in a recent interview, hoped to revive his career. 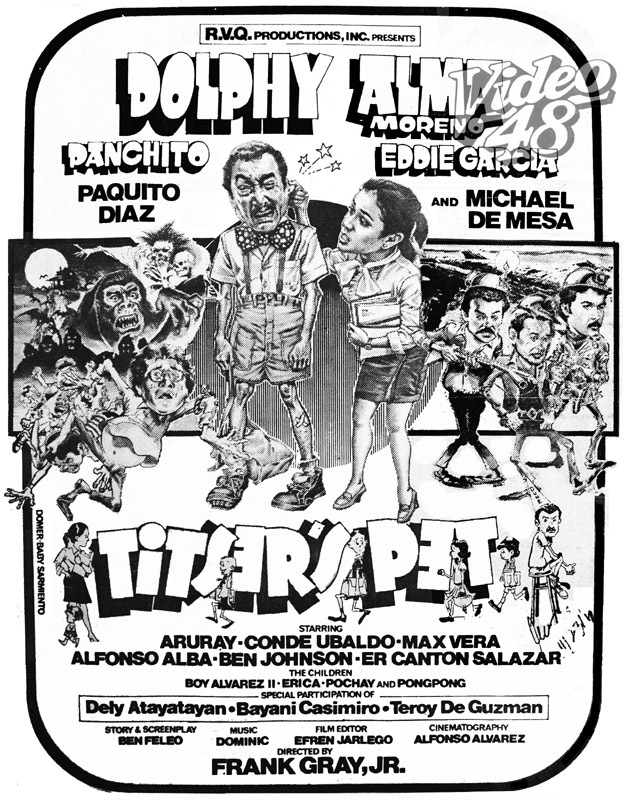 Their first movie together in 1981, "Titser's Pet" turned out to be the start of a May-December affair as veteran comedian Dolphy wooed young nymphet Alma Moreno. 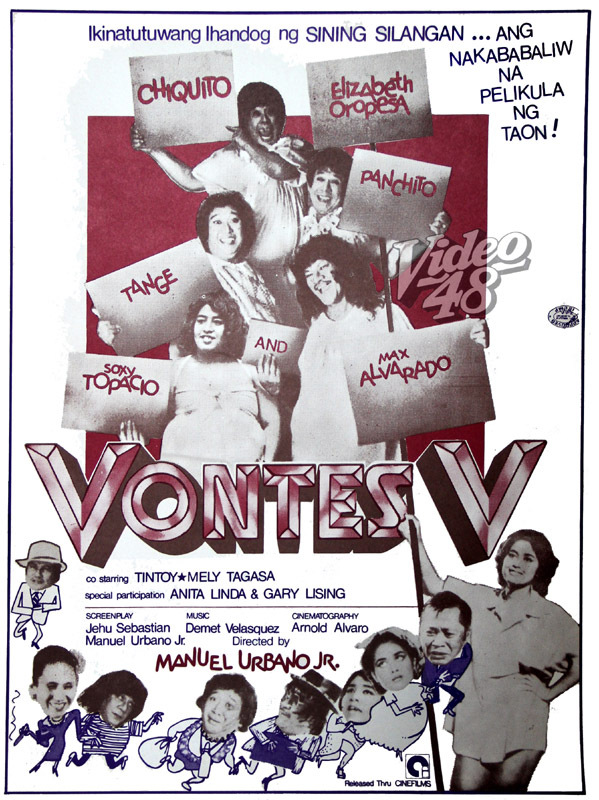 The two lived together and their union bore a son, Vandolph. They parted ways sometime in 1987. 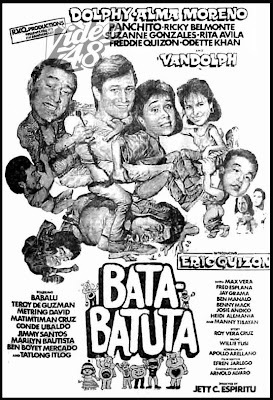 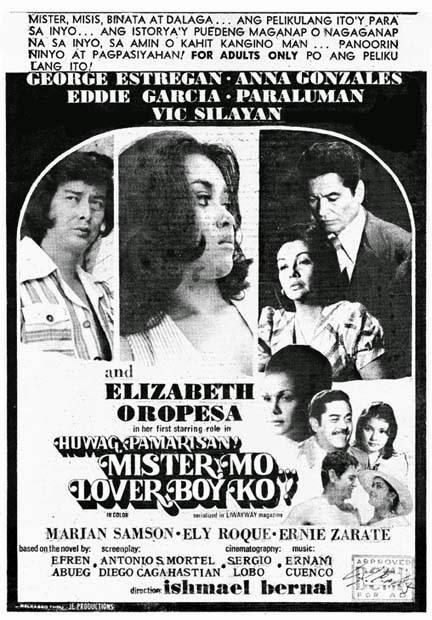 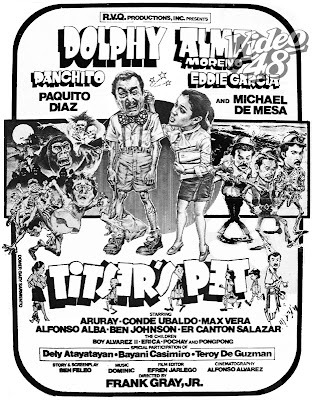 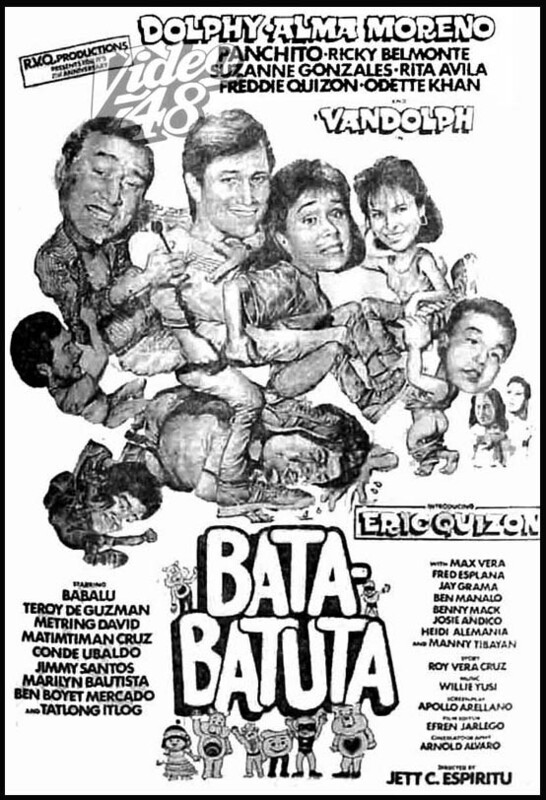 "Titser's Pet" (1981)- Stars Dolphy, Alma Moreno, Panchito, Eddie Garcia, Paquito Diaz and Michael de Mesa/ with Aruray, Conde Ubaldo, Max Vera, Alfonso Alba, Ben Johnson, Er Canton Salazar/ Directed by Frank Gray, Jr.
"Good Morning Professor" (1982)- Stars Dolphy, Alma Moreno, Panchito, Ronnie Ricketts, Maila Gumila, Edgar Quizon/ with Bayani Casimiro, Georgie Quizon, Jerry Pons, Mary Walter, Eddie San Jose, Teroy de Guzman and Bentot/ Directed by Frank Gray, Jr.
Left- "My Funny Valentine" (1983)- Stars Dolphy, Alma Moreno, Panchito, Paquito Diaz, Max Alvarado/ with Janet Giron, Patria Plata, Georgie Quizon, Max Vera, Erwin Garcia, Sandy Kirchival & Conde Ubaldo/ Directed by Frank Gray, Jr.
Right- "Tengteng De Sarapen" (1983)- Stars Dolphy, Alma Moreno, Panchito and Jaypee de Guzman/ with Raoul Aragonn, Bayani Casimiro, Teroy de Guzman, Palito Ben David, Rocco Montalban, Larry Silva, Allan Bautista, Max Vera/ Directed by Frank Gray, Jr.
Right- "The Crazy Professor" (1985)- Stars Dolphy, Alma Moreno, Aga Muhlach, Janice de Belen, Panchito, Ronnie Ricketts, Mon Alvir, Nadia Montenegro, Benedict Aquino/ with J. Antonio Carreon, Babalu, Bentot' Lillian Laing, Bayani Casimiro, Don Pepot, Teroy de Guzman, Jimmy Santos/ Directed by Frank Gray, Jr.
Ronald Remy, Ronald Kookooritchin in real life, started his movie career in 1959 via "Aawitan Kita," a film directed by the great Gerry de Leon. 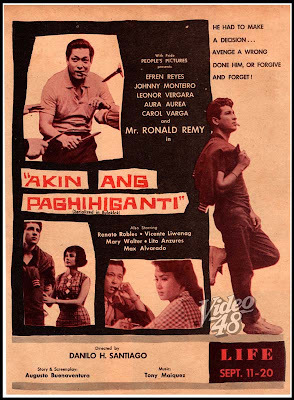 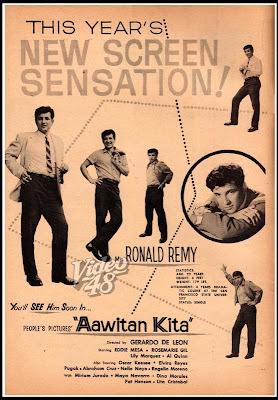 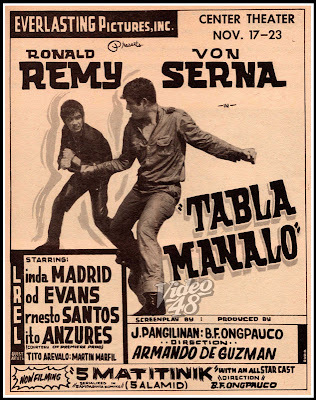 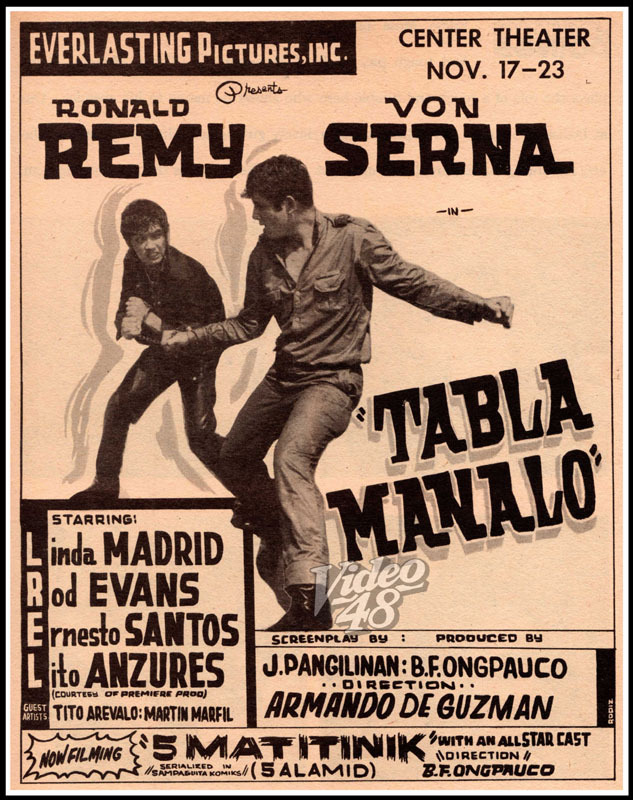 A popular actor in the 60s , Ronald shared stellar billings with top actors that time, Fernando Poe, Jr., Zaldy Zshornack, Efren Reyes, Cesar Ramirez, Romeo Vasquez among others. 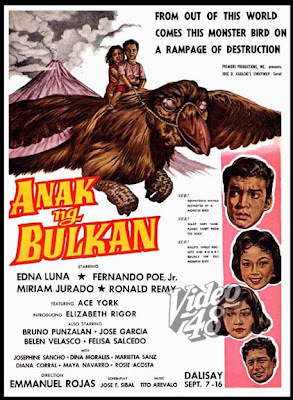 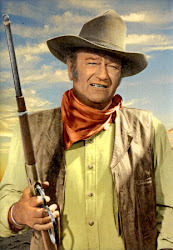 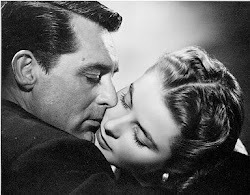 He later turned into producing and directing films, including two joint ventures with Universal Studios, "The Longest Hundred Miles" and "Escape to Mindanao." 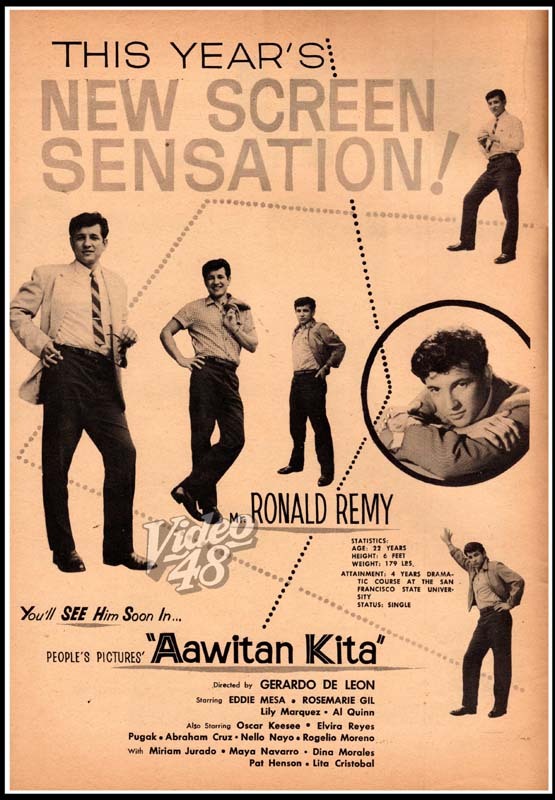 Remy became one of the respected leaders of a born-again Christian movement until his untimely death sometime in the 80s or 90s.